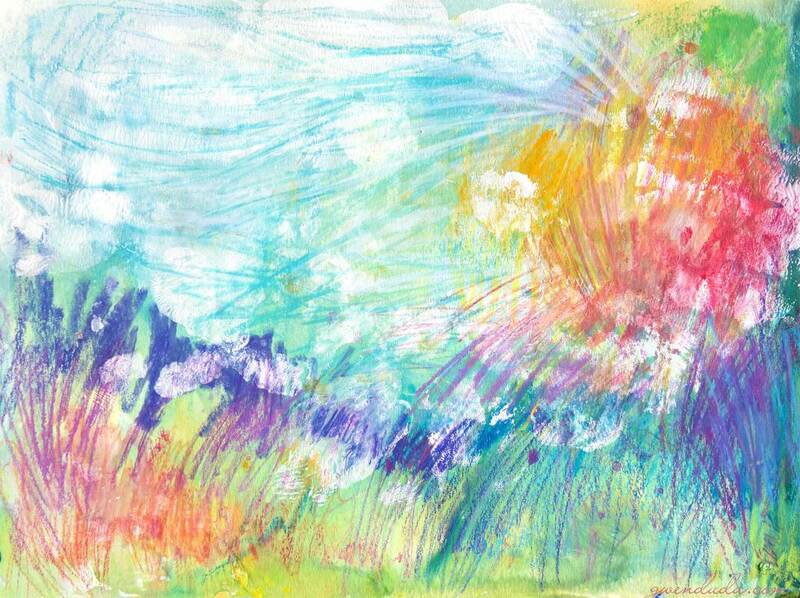 Titled "Rainbow Land" this abstract landscape measures 12" (30.48 cm) x 9" (22.86 cm) is done in acrylics with watercolour pastels and is dancing with rainbows! Firstly I printed several passages of acrylic onto the paper then worked into it with watercolour pastels. The result is light, airy and free! The image goes right to the edge of the paper and it is signed in the lower right hand area. Done in professional artist Golden and Winsor & Newton acrylic paints with watercolour pastels.